Photo Credit: Courtesy of Chattanooga Whiskey Co.
Six years after launching a campaign to change nearly 100-year-old laws and bring whiskey production back to the city of Chattanooga, and two years to the day after opening the doors to its downtown micro-distillery and tasting room, Chattanooga Whiskey received the certificate of occupancy for a brand new, 50,000 square foot production facility along the city’s waterfront. That story began in 2011, when Piersant and his former business partner set up to revive Chattanooga’s dormant, and then still illegal, whiskey business. With over 30 distilleries, the city was once the state’s largest distribution center, but statewide prohibition in 1909 halted all production, and those archaic laws were still on the books a century later. 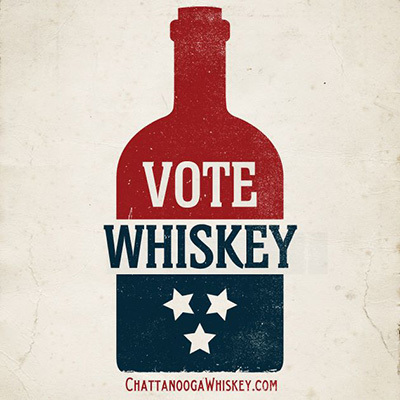 In 2013, thanks in part to the company’s grassroots “Vote Whiskey” campaign and intense lobbying efforts, distilling whiskey became legal again in Chattanooga. But changing laws was only half the battle in launching a brand new product. Piersant recently shared details of the challenges, new facilities and future plans of Chattanooga Whiskey Experimental Distillery. We’ve been trying to build a larger production facility since day one. Our vision has always been to be one of the the largest craft bourbon distilleries in the state. But when we first started our company in 2011, there were several things happening at once. It was about changing laws, it was about raising capital, and it was finding the right facility. And we initially looked at some pretty large facilities. But then we had a period of turmoil with a couple of potential locations falling through and my former business partner exiting the company. At that point, it became about just making a product and establishing ourselves as an actual distillery, which is how we settled on the Market Street experimental location. We’re proud of that facility. It offered a level of credibility to the brand, increased awareness of the product and gave us a tourism element we’ve benefited from and don’t have to build into the new space. Tell us a bit about your new production space. We just moved into our new facility in March, and we’re still downtown. Actually, about a mile from the experimental location. We’re right on Riverfront Parkway, right off the Tennessee Riverwalk and around the river from the Tennessee Aquarium. And we love the history of this location. Bessie Smith was born in this neighborhood, back when it was called Blue Goose Hollow. The building has everything we need, logistically. We’ve got a cool, 5,000-square-foot rotunda space at the edge of the property that’s being converted to an event hall. Our capacity is close to 2,700 gallons if we were operating seven days a week -- that’s roughly 200,000 six-pack cases a year. And how much are making right now? We’re cooking three days a week and distilling three days a week, so a little over half capacity. We’re putting away roughly 2,000 barrels per year, more than 30 times the capacity of the original distillery. Speaking of barrels, your first product, Chattanooga Whiskey 1816 (available in cask, reserve and single barrel), was technically not a Chattanooga whiskey, correct? Yes, when we started bottling and selling whiskey back in 2012, it was still illegal in our county. We originally outsourced 1,200 barrels from Lawrenceville, Indiana, to release our product. And that’s an award-winning product that changed century old laws and brought back whiskey to Chattanooga. But, ultimately, it’s still someone else’s product. Now that you’ve aged your own product on site, how will the brand transition into something that’s your own and is 100%, authentic Chattanooga whiskey? We’re working on something that speaks to our 1816 product -- something that we’re even more excited about, and that takes Chattanooga Whiskey into the future. After lots of testing and tasting of the recipes we’ve collected and stored over the past few years, we settled on barrel number 91. The contents of that barrel will become our flagship recipe, Experimental Batch 001, and we’ll be releasing that, along with a new label and glass, in August. Any sneak peaks you can share with us? This mash bill will still be about 75 percent corn, just like 1816, but we’re moving to a four-grain recipe with at least two specialty malts. The 1816 barrels had a #4 char, and for this new product, we’re doing a hybrid char with #4 and a #3 char toast. 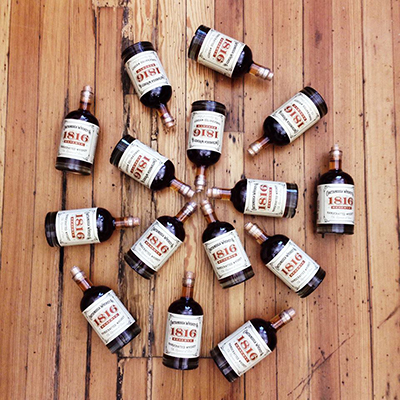 What do you think makes you different from other distillers? Right now, we have 160 barrels in our experimental facility, with over 50 different bourbon recipes. I think we’re the only distillery in the country that’s put away that many bourbon recipes. We’re going to be releasing six different experimental batches over the coming months, in addition to our flagship product, and plan to do several specialty releases. We really want to pave our own path, and this makes us stand out in an increasingly crowded market. Laura Scholz is a freelance writer with a passion for spirits and wellness who believes life, like a good cocktail, is best lived in balance. Her work has appeared in the Atlanta Journal-Constitution, Atlanta Magazine, Eater Atlanta, Liquor.com, SevenFifty Daily, Simply Buckhead and Tales of the Cocktail. Laura is also a certified Pilates and TRX instructor who loves running, yoga, live music, traveling, hiking with her dog, and playing the piano and ukulele. She lives on Atlanta's Westside with her husband Tim and freely admits she does more singing, dancing and drinking than cooking in her Southern kitchen.